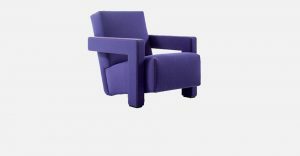 Armchair with tubular steel frame. 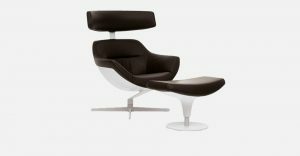 Leather upholstery zippered over the frame, available in five colours: black, brown, taupe, China red and blue.The seat cushion is padded with CFC-free polyurethane foam and feather. 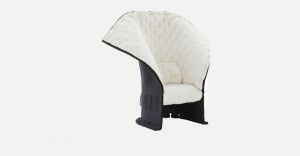 The headrest and backrest cushions are feather padded and fi xed to the frame with leather-upholstered hooks. 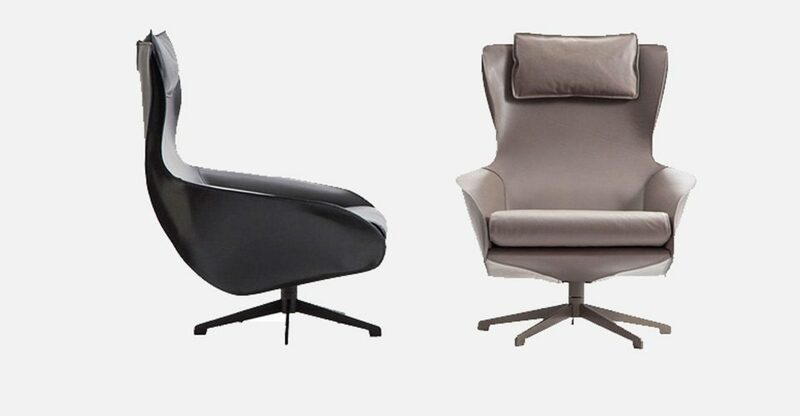 The cushions are upholstered in leather and are recommended in the fi ve colours off ered for the leather frame. The base has five steel spokes painted matte black, matte grey beige or matte chestnut brown. Plastic foot rests.